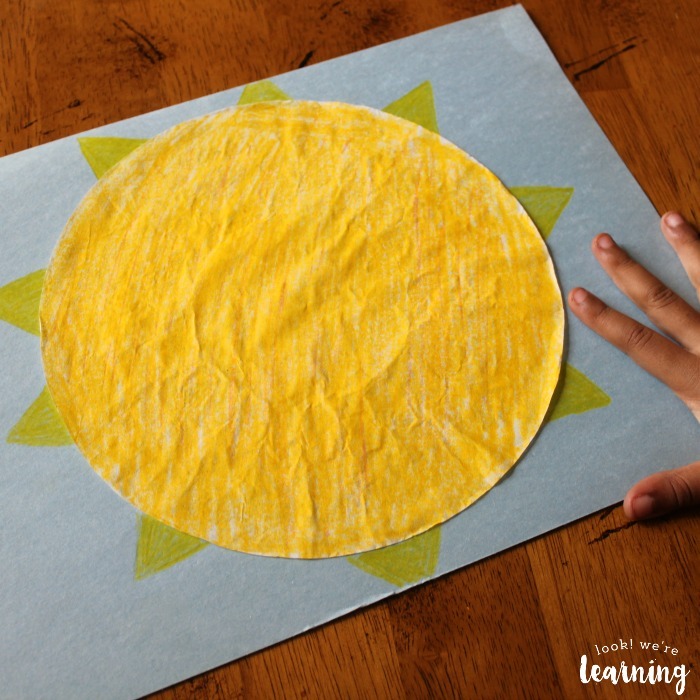 Coffee Filter Sun Craft - Look! We're Learning! 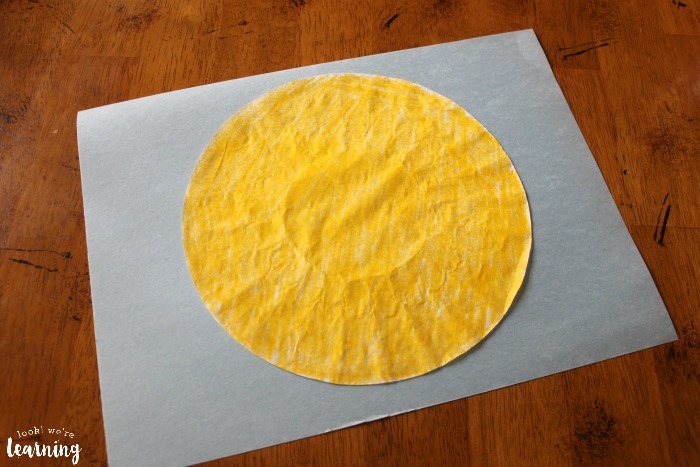 We’re feeling sunny with the latest one of our coffee filter crafts for kids! 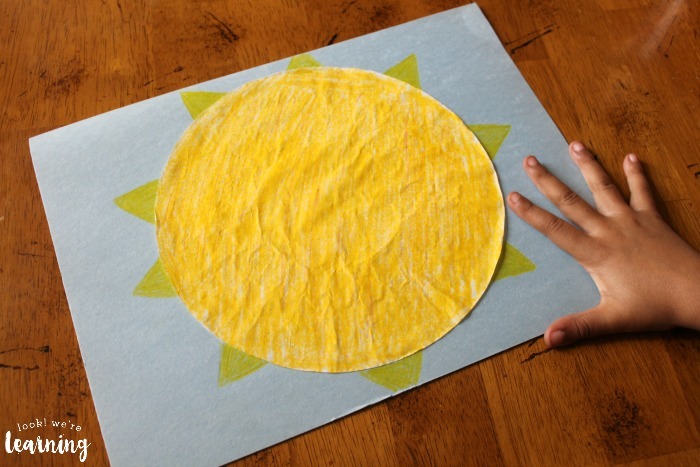 This time, we made a coffee filter sun craft and – like all the others – it’s super easy! Now when I say that this craft is super easy, I mean it is literally SUPER EASY. This whole thing took about five minutes, so it’s a perfect activity for young kids when you’re studying spring, summer, the sun, the solar system, day and night, and plenty of other topics! Since this project is so easy, your little ones might be looking for more! 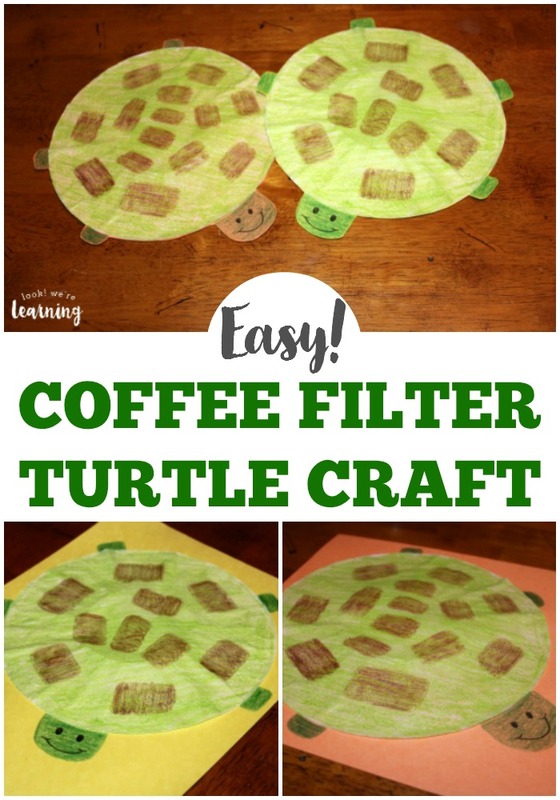 Be sure to try our coffee filter basketball craft, our coffee filter flowers, and our coffee filter ladybug craft for kids to make! 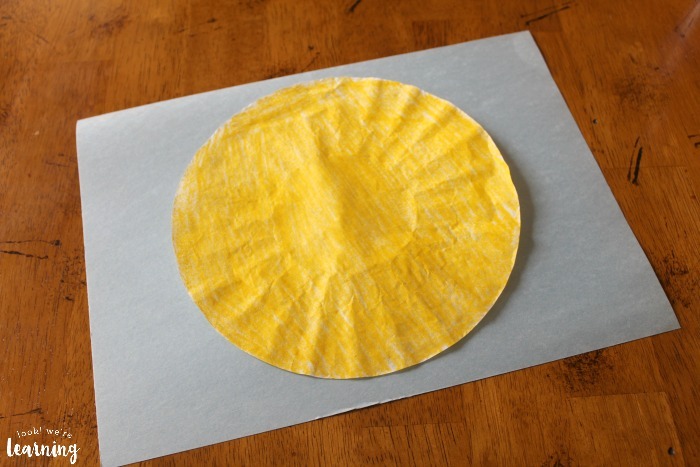 Start by simply coloring the coffee filter bright yellow. The actual color we used is called “Dandelion” and it was a nice bright color that seemed better than ordinary yellow. Use your glue stick to glue the filter down onto the center of a piece of construction paper. Light blue works well because it resembles the sky. 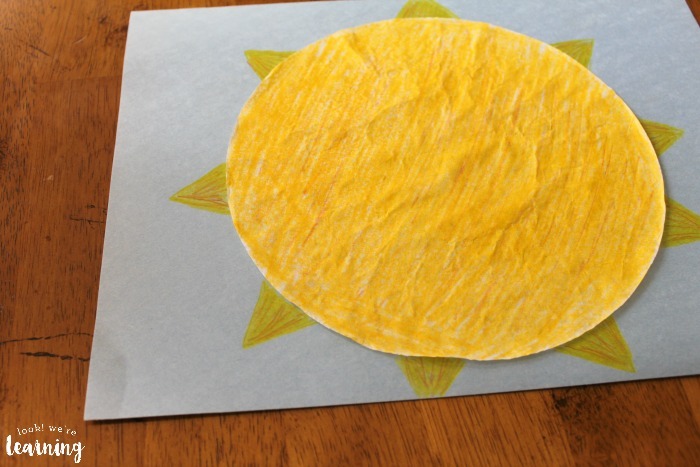 Now, just use a yellow colored pencil to draw “rays” around the sun’s edge. Simple triangles work just fine. We decided to use an orange colored pencil to add a little more color to our sun and rays. To do so, we just sketched a few lines over the whole filter lightly. And we’re done! Just easy peasy from start to finish! 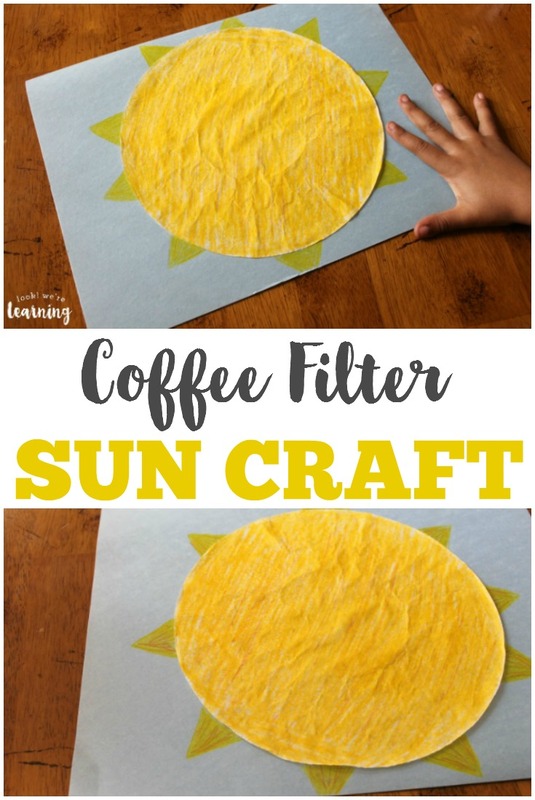 If you’re working with a group of kids such as at a daycare, an afterschool program, or a group party, this coffee filter sun craft is a perfect activity since you don’t need a lot of supplies, you don’t need a lot of time, and the kids don’t need a lot of help! 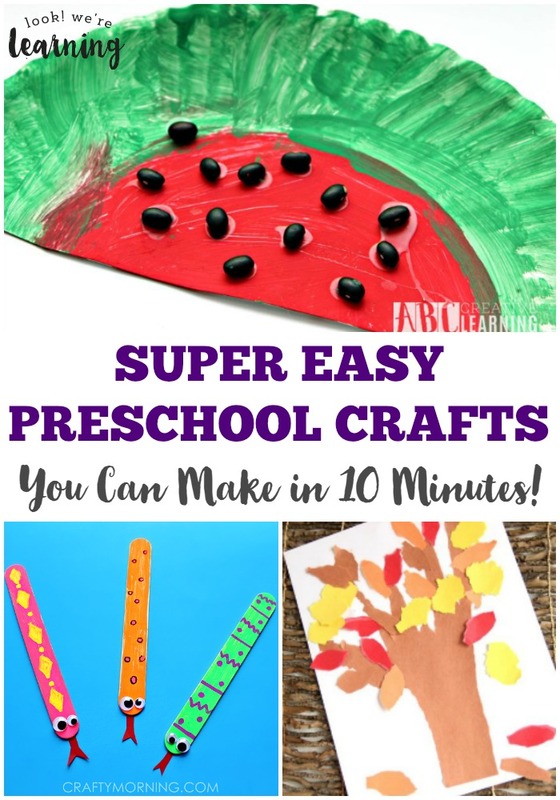 Try some other easy crafts below! 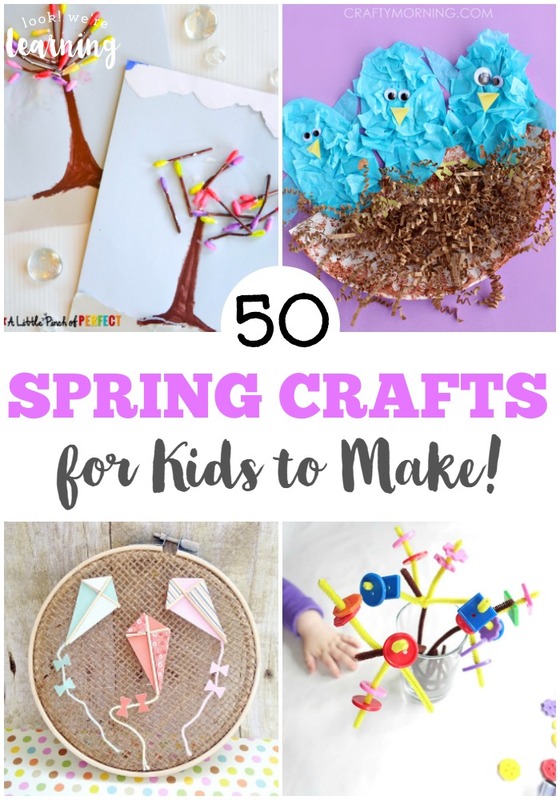 See more crafting fun on my Simple Crafts for Kids Pinterest board!